Posted on September 27, 2013 by Ana J. Life is all about those little little things, that make life beautiful! I call them PrettyPinkPebbles! © 2015 prettypinkpebbles. All rights reserved. 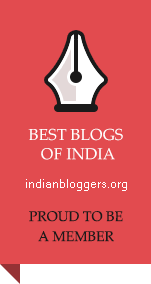 “PrettyPinkPebbles” is proud to be featured as one of “The Top 15 Art Blogs of India” by Baggout. I love reader mails, feel free to email me at prettypinkpebbles at yahoo dot com. Thank you! © 2013 prettypinkpebbles. All rights reserved.